What difference can the cut of a diamond make? It's a question that deserves a detailed answer. Each cut we make in the creation of a diamond unlocks the beauty of the sparkle. The final effect is magic. Over the years, we at AGY have focused on our craft, using artistry and science to improve the brilliance, and create more of the allure that attracts us. CUT: The cut grade indicates how much a diamond will sparkle. COLOR: This grade refers to the "whiteness" of a diamond, or its lack of color. CLARITY: The clarity grade is based on any tiny natural identifiers found within a diamond. CARAT WEIGHT: This is a measure of a diamond's weight and a reflection of its size. A quality cut grade allows a diamond to express its natural sparkle and scintillation. Cut refers to the quality of a diamond's proportions and symmetry. These angles allow the diamond to capture light and reflect it, producing sparkle. If a diamond's pavilion is too deep, for example, the center will be noticeably dark. If you want a truly brilliant sparkle, consider those with cut grades of Very Good or Ideal. IDEAL: Tremendous sparkle. Excellent polish and symmetry. VERY GOOD: Lots of sparkle. Great polish and symmetry. GOOD: A good amount of sparkle. Sufficient polish and symmetry. POOR: Will not sparkle very much. Unsatisfactory polish and symmetry. AGY does not carry poor cut diamonds. Most AGY diamonds are free from inclusions that are visible without magnification. We recommend synthesis diamonds for the best balance of quality and price. The shape of a diamond can affect the importance of its clarity grade. While the brilliance facets patterns of round and princess-cut diamond can hide certain imperfections, step-cut shapes - such as emerald and Asscher-cuts - have large, open tables. Flawless = FL: No imperfections on the surface, or inclusions within. These are the most rare of all clarity grades, and therefore extremely valuable. Internally Flawless = IF: No inclusions within the diamond, but may have very minor blemishes on the surface. If so, they will not be visible without magnification. o VVS1: Likely to have minute inclusions that can only be seen under 10x magnification by an expert eye. These inclusions can only be seen through viewing the bottom of the diamond. o VVS2: Likely to have minute inclusions that can only be seen by experts under 10x magnification. These may be visible when viewing from the top of the diamond. 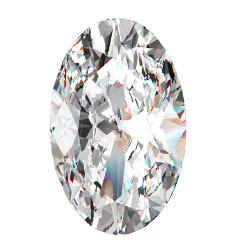 o VS1: The untrained eye may detect inclusions within diamonds of this grade, under 10x magnification. It can take a long time to see them, however (over 10 seconds). o VS2: Slightly more inclusions than diamonds with VS1 grade, 10x magnification is still needed to detect any flaws. It can take up to 10 seconds to see them. o SI1: More noticeable inclusions that experts can see clearly with 10x magnification. They may or may not be visible to the naked eye, depending on where they are in the diamond. o SI2: May have noticeable inclusions that are easy to see under 10x magnification. Sometimes, the unaided eye can detect them. o I1: Obvious imperfections under 10x magnification. The durability of the diamond may also be compromised depending on the specific inclusions. o I2: Obvious imperfections under 10x magnification. 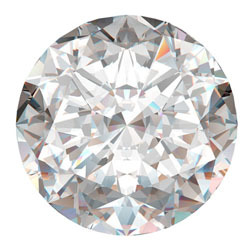 There may also be eye visible inclusions, both within the diamond and on the surface. The durability of diamonds synthesis may be compromised. o I3: Large and obvious imperfections that can be clearly seen with the unaided eye. These may be within the diamond and at the surface level. The durability of these diamonds is likely compromised. Carat weight is a measure of a diamond's weight, and a reflection of its size. 1 carat is equivalent to 200 milligrams. Because carat is a record of a diamond's weight - not its size - two diamonds of slightly different sizes may have the same carat weight. A diamond's size is so dependent on how evenly its weight is distributed, and the quality of its cut. Some diamonds are cut to maximize carat weight, resulting in less sparkle. A balance of quality in carat and cut is therefore recommended. This grade Refers to the 'whiteness' of a diamond, or its lack of color. 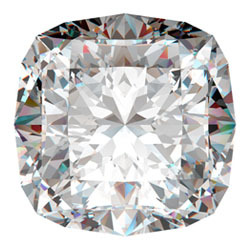 The less color within the diamond, the more rare and valuable it is likely to be. While D to F color grades are considered Colorless, an untrained eye could not easily spot color within G to I grades. If you are concerned about visible color, consider a yellow gold setting. This metal will neutralize warm tones. Opting for a diamond with more color could allow you to invest more in a larger carat weight or quality cut grade. AGY does not offer diamonds below a J color grade. o D: No color. Appears completely clear under 10x magnification. Recommended paired with platinum or white gold. These metals emphasize the lack of color. o E: No visible color. Can only be discerned from a D graded diamond by a gemologist in side-by-side comparison. Set in platinum or white gold to emphasize the lack of color. o F: No visible color. Can only be discerned from D and E graded diamonds by a gemologist in side-by-side comparison. Set in platinum or white gold to emphasize the lack of color. o G: Very subtle traces of color, typically visible only in side-by-side comparison. Will look stunning in a variety of metals, although yellow gold will neutralize any color in the diamond. o H: Subtle traces of color, typically visible only in side-by-side comparison. Suitable for both white and yellow metal settings. Yellow gold will neutralize any visible color in the diamond. o I / J: Subtle traces of color, sometimes detected by the unaided eye. Suitable for both white and yellow metal settings. Yellow gold will neutralize any visible color in the diamond. o K: A yellow tint may be detectable without magnification. A warm colored diamond may appeal, so be sure to consider your personal taste. A yellow gold setting may help to neutralize the hue. o L: A yellow tint may be detectable without magnification. These slightly colored diamonds may appeal, so be sure to consider your personal taste. A yellow gold setting may help to neutralize the hue. o M / N / O / P / Q / R: A yellow or brown tint is clear to the unaided eye. Their visible color makes these diamonds much more affordable. Set them in yellow gold for a warm, colorful look. o S / T / U / V / W / X / Y / Z: While still considered a 'white' diamond, a such graded diamond has visibly yellow or brown tones. You may find that the color in these diamonds is too much for your taste. Diamond shape makes the biggest impact on the look of your engagement ring. Many shape names, such as round, pear, and oval, describe the stone's profile when viewed from above. 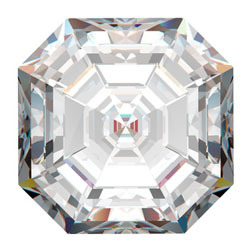 Other diamond shapes, like Asscher and marquise, are named for a historical legacy, which may add symbolic significance to your engagement ring. As you browse, remember, finding the "right" shape is more about personal style than anything else. These are the most popular diamond shapes, cut with exquisite precision by our master diamond cutters. The classic gem shape. More engagement rings are created with round diamonds than any other shape - and by a wide margin. There's a very good reason it's the most popular shape. The 58-facet, round diamond was created in pursuit of the maximum sparkle a diamond can create - no diamond shape has more sparkle. A vintage cut with lots of romantic appeal, the cushion cut diamond has become very popular in recent years. A blend of the modern round brilliant and the Old Mine facet pattern, they are also called Pillow cut diamonds. This refers to their curved angles and soft, square shape. For the optimal length-to-width ratio of a square cushion, we suggest a diamond between 1:00 and 1:09 times as long as it is wide. For a more rectangular cushion, opt for a diamond between 1.15 to 1.5 times as long as the width. A striking blend of sharp angles and brilliant sparkle, the princess cut is a contemporary classic. Cut with a brilliant facet pattern - similar to the round - they are shaped for brilliance, but with a stylish square silhouette. For a square princess cut diamond, look for those with a length to width ratio of between 1.00 and 1.09. Also called a "step-cut" because the flat facets in the base and the crown corners resemble steps. 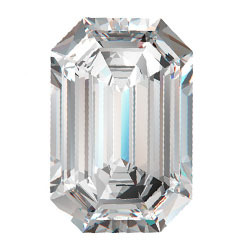 The emerald-cut diamond has a very symmetrical, organized sparkle. Because the cut tends to allow for more visibility inside the diamond, choose a higher color and clarity grade if you're choosing an emerald cut. For the optimal length-to-width ratio, we suggest a diamond between 1.25 to 1.5 times as long as it is high. The symmetrical shape and corner cuts in the base, or pavilion, create an alluring "X" effect within the square-shaped diamond. 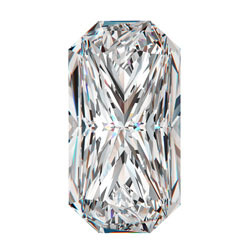 Created in 1902, this cut gets its name from its inventor, renowned jeweler Joseph Asscher of Europe. 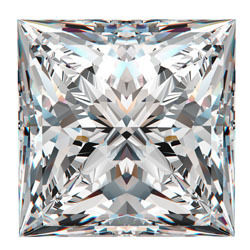 The Asscher-cut has gained popularity recently: as the diamond-cut of the stars. Many actors and celebrities have chosen Asscher-cut diamonds in Their engagement rings. 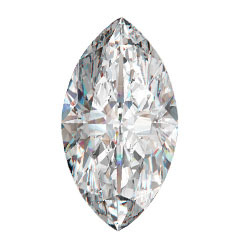 The beautiful pear-shaped diamond resembles a sparkling pure drop of water. Whether worn with the point facing up or down, the pear-shaped diamond fits into most settings designed for a round diamond to create a uniquely beautiful look. For the optimal length-to-width ratio, we suggest a diamond between 1.5 to 2 times as long as it is high. 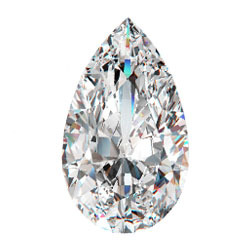 The elongated shape of the marquise originated when King Louis XIV commissioned a diamond of this shape to resemble a smile. The pointed ends and rounded sides give it a unique combination of angles and curves. For the optimal length-to-width ratio, we suggest a diamond between 1.5 to 2.5 times as long as it is high. The oval is a variation of the round brilliant shape. Its shape lends a lengthening effect which can accentuate beautifully long fingers, or make shorter fingers appear longer. This is a great shape choice for someone who loves the brilliance of a round, but wants something more unique. For the optimal length-to-width ratio, we suggest a diamond between 1.25 to 1.75 times as long as it is high. As rings at iconic symbol of love, heart-shaped diamonds are a rare yet stunning choice for jewellery and engagement. Due to their distinctive silhouette, length-to-width ratio is very important to consider when selecting a heart-shaped stone. 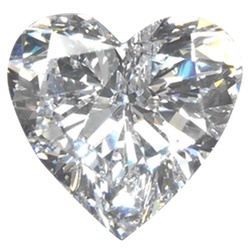 For a classic heart shape, search for diamonds with a length-to-width ratio between .90 and 1.10. Diamonds with specifications smaller than that will appear wide, while a larger number will appear narrow. Lower color grades may thus affect the different parts of a heart-shaped diamond, so care fully invest for a stone that looks even and brilliant. The radiant-cut diamond combines the elegant symmetry of an emerald with the brilliant sparkle of a round. In order to produce the most sparkle, well-cut radiant diamonds are traditionally deeper in the base, or pavilion, than other diamond shapes. For the optimal length-to-width ratio of a square radiant, we suggest a diamond between 1.00 and 1.09 times as long as it is high. For the optimal length-to-width ratio of a rectangular radiant, we suggest a diamond between 1.15 to 1.5 times as long as it is high.